Australia Zoo Wildlife Hospital (AZWH) is one of the busiest and largest wildlife hospitals in the world. This month you can help the hospital and their animals by sewing these vibrantly-themed cage covers in various sizes! The covers attach onto the doors of the hospital’s bird and reptile cages to create a private environment where animals can get the rest and recovery they need. The hospital has asked for bird and reptile cage covers in numerous sizes listed below. All covers you make will be used and greatly valued. Covers are rotated and washed regularly in warm water for disinfection so make sure your material is pre-washed and shrunk before you measure and sew. – Add 9cm to the height of your fabric (5cm to form a top flap that will hook the cover onto the cage door and 2 x 2cm turned edge seams at top and bottom). Press in top and bottom of fabric 2cm. Use the crease as a guide to sew a turn-and-turn edge. For each edge, fold in the cut edge of the material half way to the crease, then fold it over again to meet the crease. Pin and stitch across from end to end. Fold down 5cm of fabric from the top edge (right sides together) and pin in place. This will form the flap. Stitch down each side of the folded flap with a 2cm seam allowance. Turn right side out and press the side edges of fabric 2cm each. Stitch down edges using a turn-and-turn seam (same as in step 2). 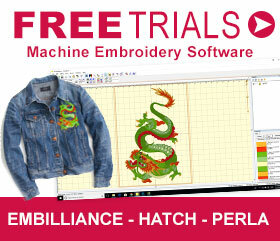 OPTIONAL: Place the embroidery design in the lower left hand side of the cover. The design is available as a single 13cm x 18cm design, or in two parts of 10cm x 10cm. Print out a template to see where it sits well for you. Send your completed covers into Echidna Sewing Head Office for us to pass onto the Australia Zoo Wildlife Hospital. Be sure to include your name, postal address and contact details with your donation. Drop your cage covers into your local Echidna store. HOW LONG DO I HAVE TO CREATE THE PROJECT? The Australia Zoo Wildlife Hospital sewalong will run from 1–30 April, 2018. We’ll be giving away a number of prizes throughout in the year. 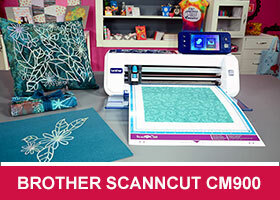 To enter, simply take a photo of your finished project this month and post it to our Echidna Sewing facebook community! We’ll also be giving away a number of prizes at random throughout the year, and your sewalong project is eligible for one of these prizes no matter which month it’s sent in. Sewalongs are a great way to get inspired by what everyone creates, while giving to a worthy cause. If you’re new to sewing and embroidery this is a great chance to get involved and have fun no matter what the outcome. 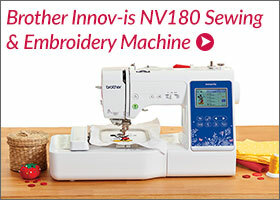 Any excuse to put your sewing and embroidery machines to good use is a great one.